Superfoods are a very hot topic right now. There are over 100 so-called superfoods and more are being discovered almost every week. Some are quite common and are foods you’ll find easily in the grocery store – avocados for example. Others are more exotic and you may only find these in health stores – such as acai berries. There are others that hardly sound like food at all such as spirulina which is a type of algae that looks (and tastes!) a bit like dried seaweed. I thought superfoods were a new idea but it turns out that these highly nutritious foods have been known for ages and we’re sort-of rediscovering them! Go back a few hundred years and medicine as we know it didn’t really exist. If you were ill, you would probably have been treated with a variety of herbs, roots, and other plants. These primitive medicines were the start of what we now call superfoods. Your body has an amazing ability to heal itself but if it’s lacking essential nutrients, this is not always possible. Superfoods are very nutritionally dense and are loaded with what your body needs to stay healthy. That’s not to say that superfoods replace the need for modern medicines, just that they can help your body stay healthier and therefore heal itself better and faster and hopefully not fall ill in the first place. Back in those old pre-modern medicine days, people knew that certain foods were good for certain conditions even if they didn’t know why they worked. Now, because of advanced medical and nutritional science, we have a much better understanding of what nutrients are in superfoods and why they work. In my article “Why I’ve Got Superfoods in My Diet” I talk about how superfoods have helped me look and feel healthier than ever before. But, this isn’t just me saying that superfoods are super – many doctors and nutritionists agree too. But which ones should you take? As I said, there are over a hundred superfoods so it can be tough trying to decided which ones are right for you as each one has a different effect or benefit. It’s important to match your superfood with your nutritional needs but, even then, you may find it hard to decide which ones are the ones you need. To help you with this decision, I have written a list of my top 10 superfoods that almost everyone will benefit from. These foods cover a multitude of nutritional bases and represent a good place to start your superfood journey of discovery. If you want to consume more superfoods or simply cannot decide which superfoods are right for you, I recommend trying a superfood powder. 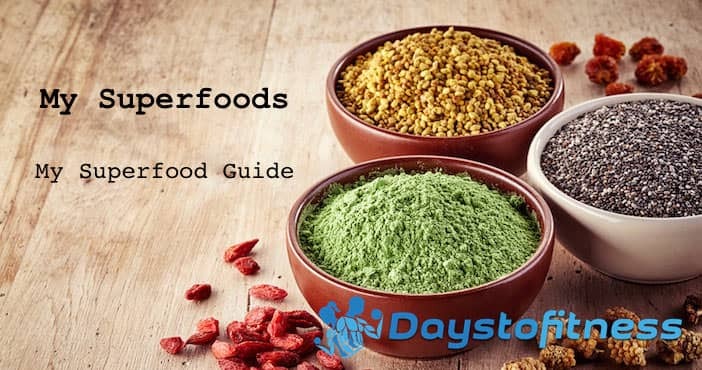 Superfood powders are supplements made from concentrated superfoods that you can mix with water, juice, or add to a smoothie. They make getting enough superfoods really easy, cost effective, and convenient; a great option if you don’t want to buy lots of different superfoods. Check out my article “Why Superfoods in Powder Form?“ for more details about these great supplements. 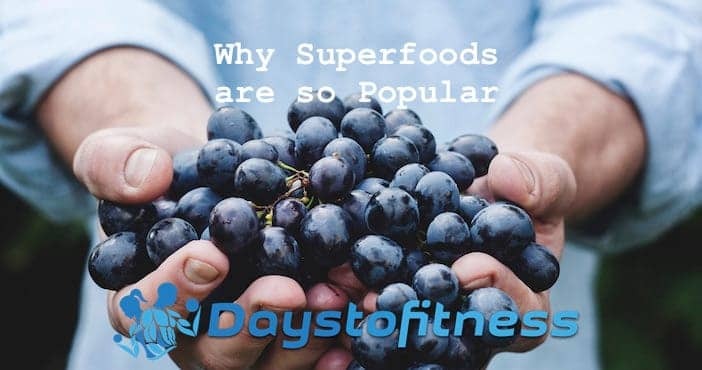 So what makes superfoods so popular? The modern diet is often low in essential nutrients – even if you eat healthily. Stress, environmental toxins, pollution, cooking, and food preparation often rob your body of essential nutrients leaving you tired, lethargic, prone to illness, or just feeling “not quite 100%”. Superfoods put back in what modern living take out of your body and can help prevent illness and disease before it even starts. I know I feel much happier and healthier when I use superfoods and I’m pretty sure you will too. Make sure you read all my other superfood articles to learn more about this fascinating and popular subject.